In planning for your future you have definitely looked into the best ways to handle your money so you have more of it when you ride off into the sunset. In your research you’ve come across Roth IRA’s and the benefits they give you in retirement. What you may not know are the rules and taxes tied to them between now and your office retirement party. Let’s look at a rundown of these taxes and regulations so you can protect your assets in your Roth IRA. One of the key differences between a Traditional IRA and a Roth IRA is that the contributions made are subject to different IRA tax rules. What does this mean? There is no Roth IRA tax deduction, while a Traditional IRA tax deduction lessens the amount of income tax you need to pay. For example, if you have an income of $50,000 a $2000 contribution to a Traditional IRA means you would pay $48,000 worth of income tax. 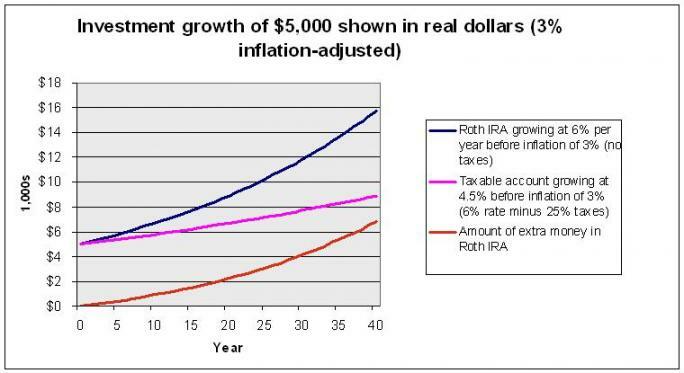 A $2000 Roth IRA contribution on the other hand would still see you pay $50,000. You need to be aware that there is no Roth IRA tax deduction, but keep in mind this also means that you will not have to pay taxes on any qualified withdrawals later on. When you hit the age of 59 1/2 you are free of the majority of penalties that come from withdrawing funds from your Roth IRA. However, if you withdraw funds before you reach that age you get hit with what’s called an “Early Withdrawal Penalty”. When you take this penalty you have 10% of any investment gains withdrawn deducted from your Roth IRA. What this DOES mean however is that you can withdraw your initial investment at any time, tax-free. Since Roth IRAs are funded with money that has already been taxed, they will not tax you again on the initial contribution. That being said, gains on your investment are income tax-free only when you pass the age of 591/2. Does this mean that once you pass that magical number you’re free to do whatever you want? Not quite. A Roth IRA must be open and funded for at least 5 tax years before you can withdraw funds without penalty or taxes. If you open up a Roth IRA in 2011 at the age of 58, you can’t withdraw funds when you hit 591/2 without being penalized. Rather, you have to wait a full 5 tax years (until 2016) to be able to withdraw funds. 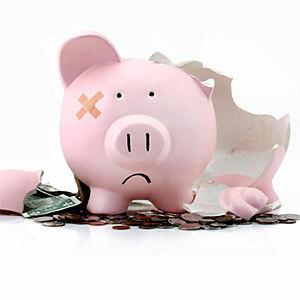 If you have a Traditional IRA and would like to withdraw funds, you will almost certainly be hit with an early withdrawal penalty – much like the one associated with a Roth IRA. However, if you convert your Traditional IRA to a Roth IRA you will not be hit with an early withdrawal penalty on your Roth IRA since they count as an initial investment – though you need to be aware that the funds in your Traditional IRA will count as income on your tax return. Making excess contributions can also bring about a penalty. It is obviously possible to make a mistake and contribute too much to your Roth IRA. If you do, you will receive a 6% tax on the excess amount until the excess amount is fixed. This is easily avoidable by keeping track of your limits on a regular basis. However, if you do find out that you made an excess contribution you have until the tax filing deadline to withdraw the excess amount to avoid a penalty. Given that tax deadlines pay a big role in how you manage your Roth IRA it is important to know when these deadlines are. The Roth IRA deadline for contributions is set on (or before) April 15th. You can make the contributions to your Roth IRA anytime between January 1st and April 15th of the following tax year. Likewise, you can also fix any excess contributions made into the Roth IRA until April 15th or, if otherwise, that tax year’s deadline. With all of the potential penalties and taxes associated with the Roth IRA, you’re probably wondering if there is a way to minimize the number of fees associated your Roth IRA. The good news is financial institutions do offer several low or no-fee Roth IRAs. The best way to go about finding one is to make sure you compare what each provider offers. If you shop around, you’re sure to find the best Roth IRA for you. Scottrade IRAs are FREE: there is no IRA setup and annual IRA fees. The firm is consistently rated at the top in customer service and investor satisfaction. Even if you already have an IRA with another company, it’s a wise decision to switch over to Scottrade to avoid unnecessary fees and low returns. Open your No-Fee Roth IRA with Scottrade today.